In its ongoing commitment to the Hispanic community, as well as our home countries, Curacao launched a fundraising campaign, “Fuerza Guatemala”, to help those affected by the volcano eruption. Also the store chain offered free money transfers to Guatemala in last June, and they matched the donations made by customers from the community. 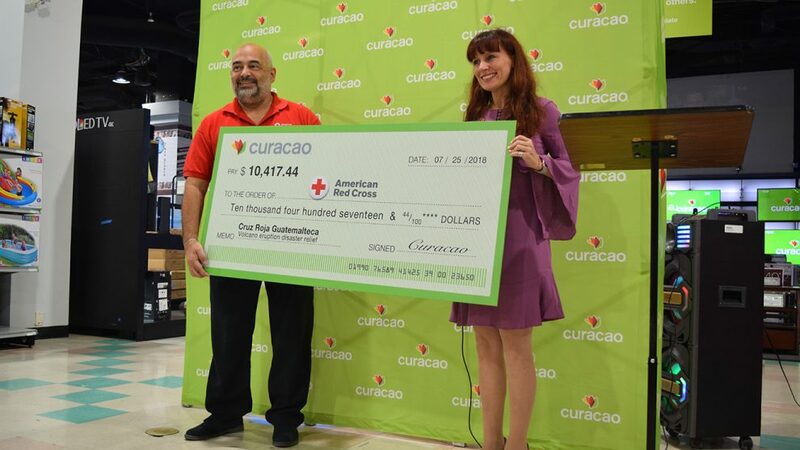 On Thursday, July 26, 2018 Curacao presented at their Los Angeles’ store a check with the donation to the American Red Cross. For more than 35 years, Curacao has helped the Latino community to strengthen its ties with the United States through its products and services.They also support the community through the Curacao Foundation, with initiatives ranging from helping the next generation succeed through scholarships by supporting families in need. 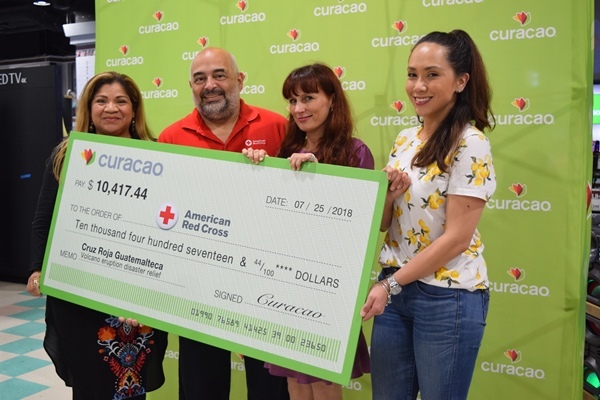 (from left – right): Sophia D. Cortez, Curacao’s Senior Manager – Field Merchandising Operations & Community Relations, Joselito Garcia-Ruiz, the Regional Disaster Program Officer for the American Red Cross Los Angeles Region, Ariela Nerubay, Curacao’s EVP of Marketing & CMO and Marketing Coordinator Stephanie Ortega. Kendrick Lamar’s ‘GKMC’ Album Becomes The 4th Hip Hop Album To Ever Hit 300 Weeks On The Billboard 200.